Wooden harp with blue music notes gently wafting away. 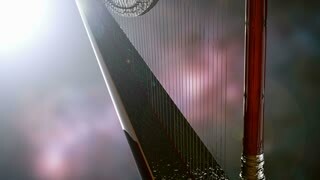 The Harp's strings are moving and the clip is loopable. Music notes waft gently upwards generating soft blue etheric trails.